Delighted to be selected and showing a new piece that I made especially for the annual RDS Craft Awards Exhibition - Opening on the 2nd and running till the 13th of August. 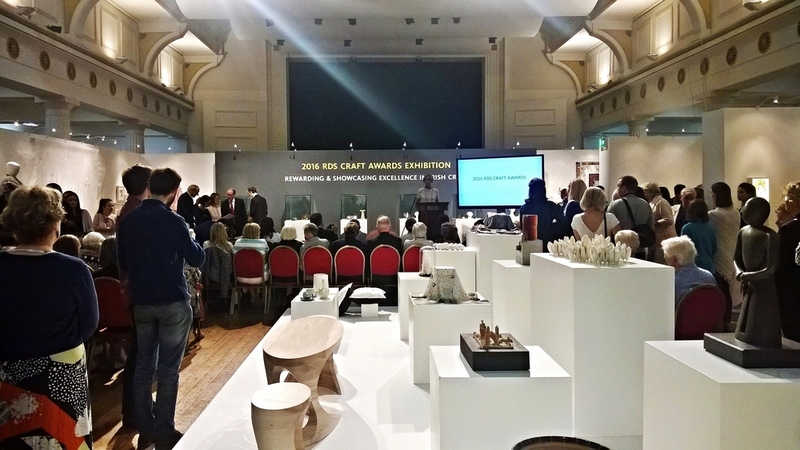 The annual RDS Craft Awards showcase and reward excellence in Irish craft. 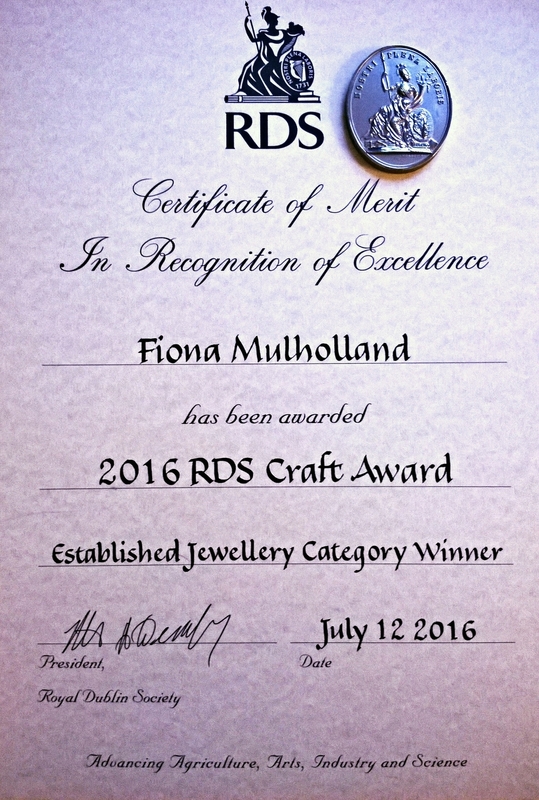 Established in 1968, the Awards follow an RDS tradition of promoting Irish craft which dates back to the nineteenth century. The RDS Craft Awards is an open platform for Irish craftspeople to have their work assessed by an independent judging panel of Irish and international craft experts. The prize fund in 2017 is in excess of €30,000. Each year, the winning and commended entries are showcased at the RDS Craft Awards Exhibition during the Dublin Horse Show and prize winners are exhibited again at the National Crafts & Design Fair in the RDS in December. What a brilliant start to 2017! 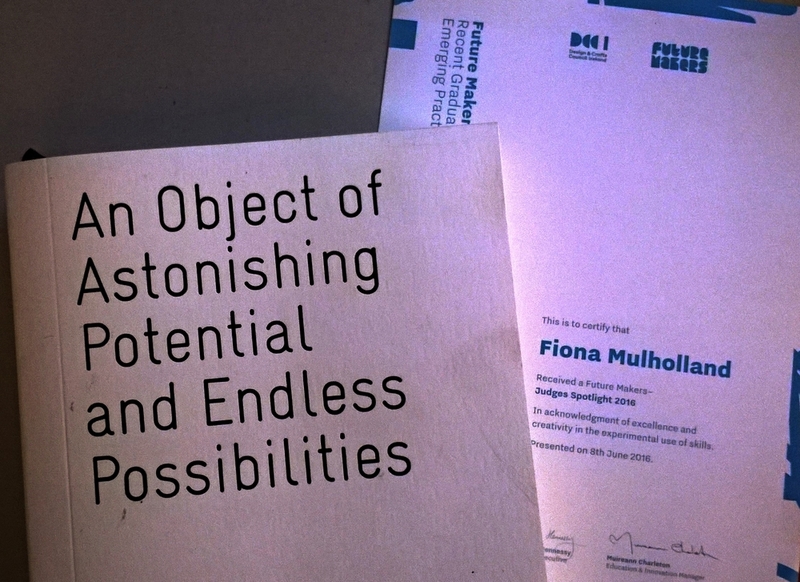 A sincere privilege to have received a 'Special Award' in recognition of my practice from the trustees of the Helen Lillias Mitchell Artistic Fund. 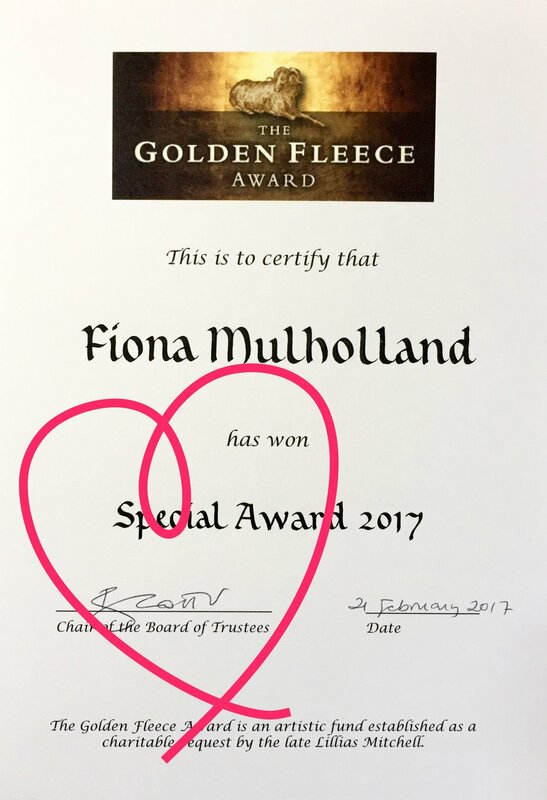 The Golden Fleece Award is an independent artistic prize fund established as a charitable bequest by the late Helen Lillias Mitchell. The fund acknowledges excellence and ambition in both emerging and established artists across both fine and applied art in Ireland. We attended a lovely ceremony at the RHA in Ely place on the 21st February and it was fantastic to meet so many talented artists/designers - John Lee, (Furniture), won the 2017 Golden Fleece Award, plus Merit Awards went to Gerry Davis, (Painting), Chloe Dowds, (Ceramics), Nuala O'Donovan, (Ceramics) and Yanny Petters, (Botanical artist). Warmest congratulations to everyone! The trustees of the Golden Fleece Award are supported by a distinguished advisory panel whose knowledge and experience are invaluable in guiding the development of the Award. The panel comprises ceramicist Neil Read (Chairperson of the panel); textile artist Helen McAllister, Head of Fashion and Textiles at NCAD; graphic artist Robert Russell; painter Eoin Mac Lochlainn; and Dara O'Leary, who is Arts Programme Manager with the RDS. Wow, what a year 2016 is turning out to be! Feeling truly honoured and humbled to have been selected for the 2016 RDS Crafts Awards and exhibition let alone be the jewellery category winner particularly as the work was judged by the gifted goldsmith, Rudolf Heltzel! Huge Congrats to all the award winners - beautiful show and well worth a visit! Many thanks to the judges, Dara O'Leary, Veronica Reid and the RDS. I am delighted to announce that my work entitled 'GLOW' CHOKER has been selected for exhibition at the RDS Craft Awards. Established in 1968, the annual Awards showcase excellence in Irish craft. It is an open platform for Irish craftspeople to have their work assessed by an independent judging panel of Irish and international craft experts. The jewellery category was selected by the highly skilled goldsmith, Rudolf Heltzel. Rudolf came to Ireland 50 years ago at the invitation of the Irish Export Board, tasked with introducing good design and industry practices through the Kilkenny Design Workshop initiative. Over five decades he has established an unrivalled position in the evolution of modern Irish jewellery. The exhibition will be open to the public from Wednesday 13th July to Friday 15th July from 10am - 5pm (7pm on Thursday). It will then continue as part of the Dublin Horse Show from Wednesday 20th July to Sunday 24th July. After the exhibition all work will travel to National Museum of Ireland - Country Life; Turlough Park, Co. Mayo where if will be exhibited from Tuesday 9th August to Sunday 13th November. Fiona Mulholland and Michelle McPadden are proud to present ‘The Warehouse’ – A showcase of leading contemporary craftsmanship. 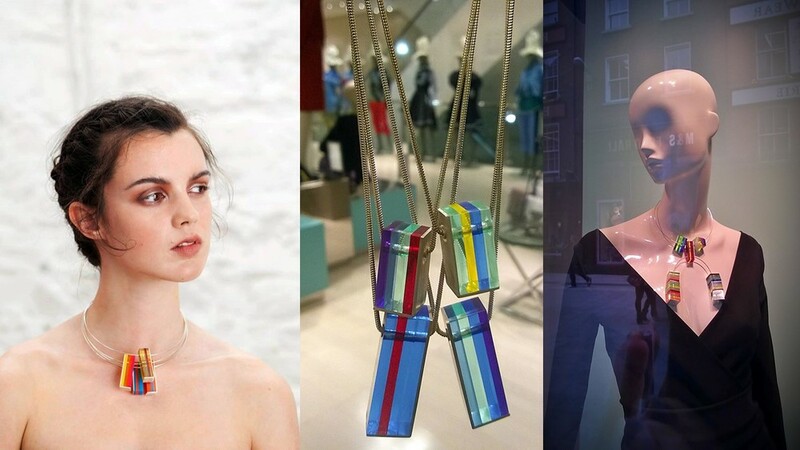 This event will showcase the collections of several of Ireland’s leading designers and includes works by Jonathan Ball, Crona Gallagher, Lisa Ryder, Counties of Ireland Jewellery, Mulholland Jewellery, ISLE Jewellery, Alan McCluney, Aisling Higgins, Chloe Dowds and photographer, Daragh McDonough. These practitioners work in a variety of mediums including jewellery, ceramics, print, textiles and photography. What is evident in the various and varied works presented is the designers’ transformative eye in translating the everyday into the extraordinary. The Warehouse, Main Street, Glenties. Tel: 087 77 054 90/087 67 80 374. Follow Mulholland Jewellery on Facebook and Twitter for regular updates, competitions and design tips. I am truly elated to be awarded a ‘Judges Spotlight Award’ at the DCCoI ‘Future Makers’ event which took place last week. Applications were assessed by a judging panel including designer makers Michael Eden and Sasha Skyes, it must have been a very tough call for the panel with 2016 seeing a record number of entries since the event began in 2009. Congratulations to all the ‘Future Makers’ recipients! I feel very privileged to be named among the 30 winners. I’m so happy to be shortlisted for the Future Makers Award. Future Makers rewards innovation and fresh thinking and funds research, training, residences, materials and exhibitions. This year’s selectors were Michael Eden and Sasha Skyes and there was an amazing response from applicants with the largest number of applications to date. I have my fingers crossed, my toes crossed and I even braided my hair! It would be amazing to win this award, but it has been just as good to be nominated with so many other talented makers. Good luck everyone! 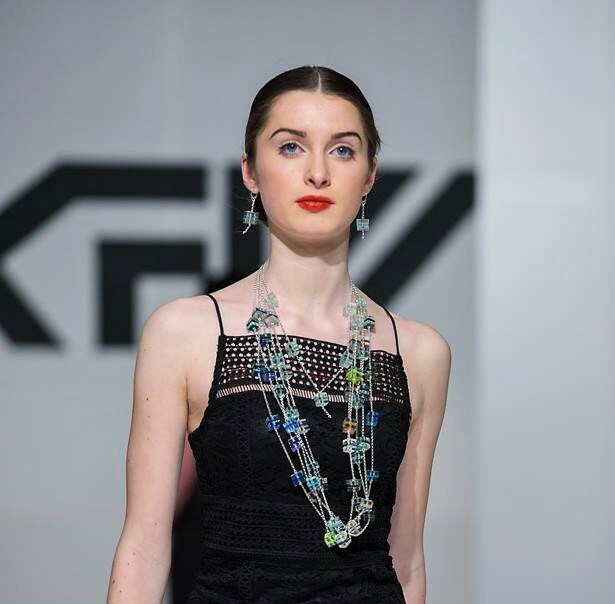 I had a fabulous evening on the 4th of March at KFW Irish Fashion Industry Awards where I came home with the award for '2016 Irish accessory designer of the year’. I am so very chuffed. Many Thanks to all involved and congratulations to all the deserving winners, it was a great night! It was invigorating being back in the studio working on some brand new sculptural work for the 'Less + More' exhibition at the Oonagh Young Gallery in Dublin. (Dec 2015-Feb 2016). The exhibition was part of ‘Year of Design 2015’ sought to “investigate the fluidity between contemporary art practice and design”, and combined the work of John Rainey, A2 Architects and myself. I was invited to make limited edition pieces for the exhibition. These minimalist works entitled are composed of geometric circular forms and invite interaction with the viewer in order to investigate repetitive cycles. The objects hover ambiguously between sculpture, three dimensional drawing and design. The materials used in 'Unfurl again' are powder coated steel and brass rods. It was great to meet new people and make new connections at this year's Showcase. After winning a “Highly Commended Award” from DCCOI last year, I was excited to return to the Creative Island and present the “Spectrum” collection. This collection is a sophisticated and funky fusion of traditional craftsmanship, new technology and cutting-edge design. The “Spectrum” collection is inspired by light and pure form geometry and is made of Plexiglass and combined with silver. By using only the natural edge of the material to maximise its luminosity, each design has a singular way of refracting and filtering light. I would like to thank all my lovely friends whose help was greatly appreciated during a challenging week - you know who you are! Many Thanks to Manchán Magan for the great feature in yesterday's Irish Times, 'Ultimate Gift Guide - Gifts for Men'. Love his description - " .... like futuristic, mongrel diamonds"
To fuel both the body and the mind with ideas, I’ve just come back from a week long hiking trip through the High Atlas Mountains with the charity Multiple Sclerosis Ireland and am genuinely extolling the sort of clichés that a country like Morocco inspires in a creative mind. To me, the place was mysterious, magical and a feast for all the senses! In addition with the two days we spent in Marrakech, these words are fully warranted – the Berber people, landscape, saturated colours, the pride in craft and its inherent ties with design evident in almost every nook and cranny of their buildings both interior and exterior. Why has it taken so long for me to visit a vibrant country that is drenched in light, colour and pattern? I therefore have to thank MS Ireland, Earth's Edge, our charming guides and of course Annie and Una for being such stoic fundraisers. A week long trip would not have been half as enjoyable but for the company and the well organised adventure that we all so enjoyed! As an extension to my current practice in sculpture, I have recently begun to re-visit my jewellery background with a view to establishing a sustainable business. It has been a busy and rewarding period which I hope will continue into the foreseeable future. 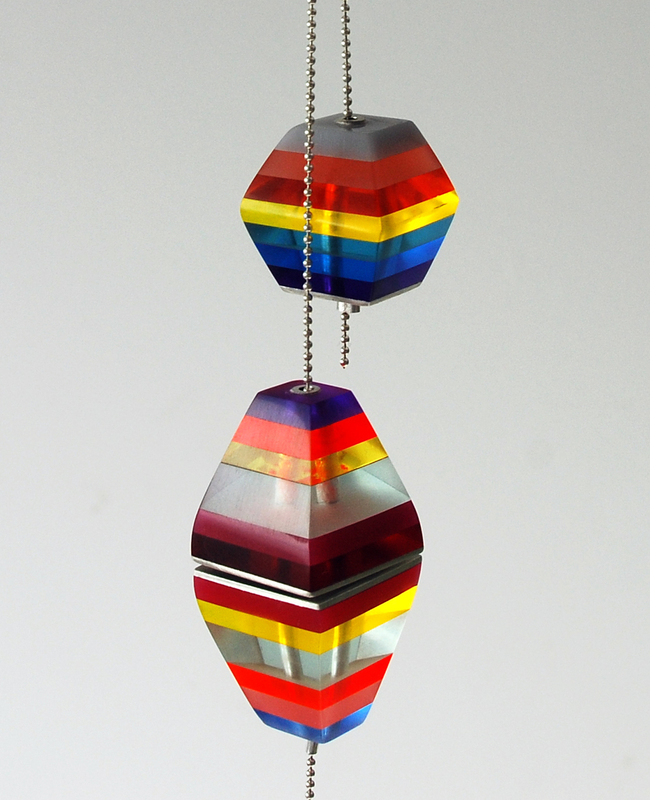 In early 2013, I began to reflect on the potential of re-visiting my applied art background in jewellery design. It began in earnest with a project called Leitrim LIVECRAFT. Leitrim LIVECRAFT was a dynamic creative training programme supporting economic activity in County Leitrim which allowed participants to learn new creative and business skills. Leitrim Development Company developed the project under the Rural Development LEADER Programme. The unique training programme was implemented by The Leitrim Design House in association with the Leitrim Sculpture Centre where I am currently a studio holder. For quite some time, I had considered how to best use my creative skills in a commercially viable way and the programme helped me enormously to focus, in terms of implementation and business training. In addition, it was a great opportunity to meet other creative people based in the North West of Ireland. It was also at this time that I first met the lovely folks at the Leitrim Design House. The Leitrim Design House is an organisation committed to supporting the development and success of designer/makers working in the creative sector. 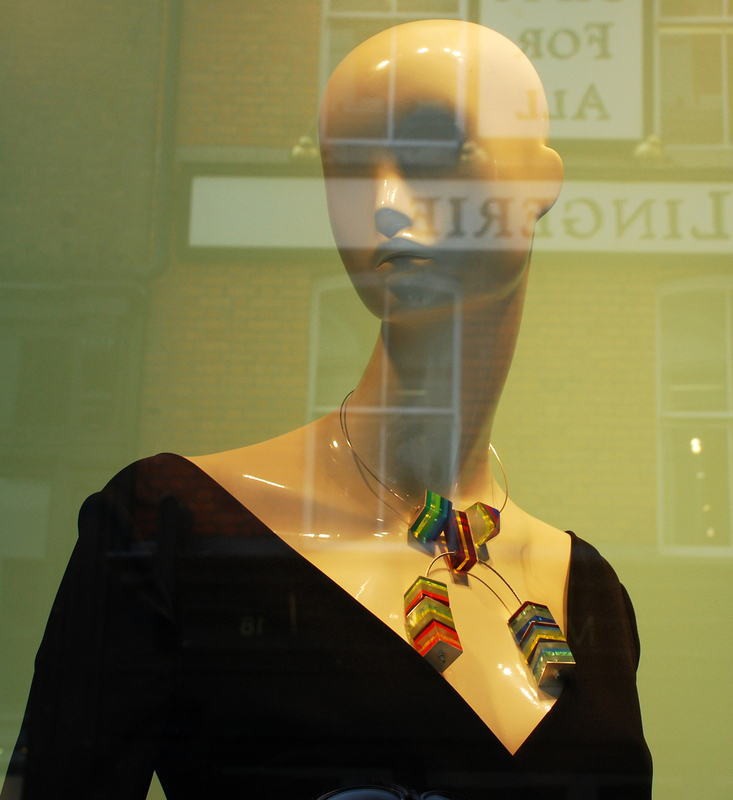 They promote the excellence of modern Irish craftsmanship which is also on show in their Retail Gallery. 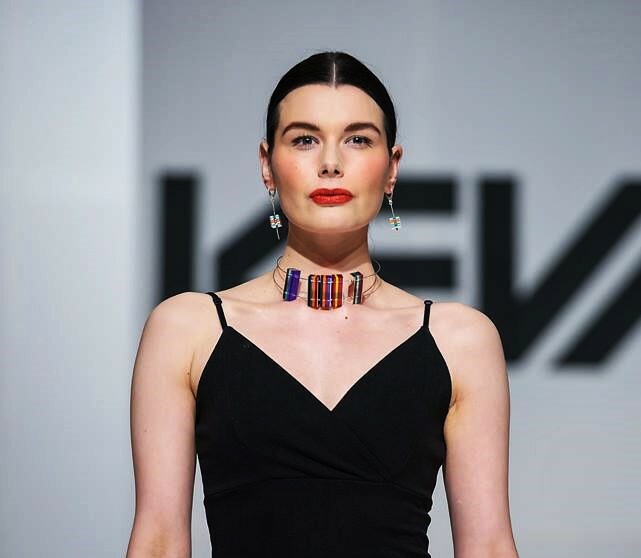 In mid-2014, following the Leitrim LIVECRAFT programme, I participated in their Business Development Programme with Eddie Shanahan - President of the Fashion Council of Ireland. This led not only to my first showcase of the Glow collection in their Retail Gallery but also a short time later, to my being selected for ‘Create – Irish Designers’ in August/September 2014. 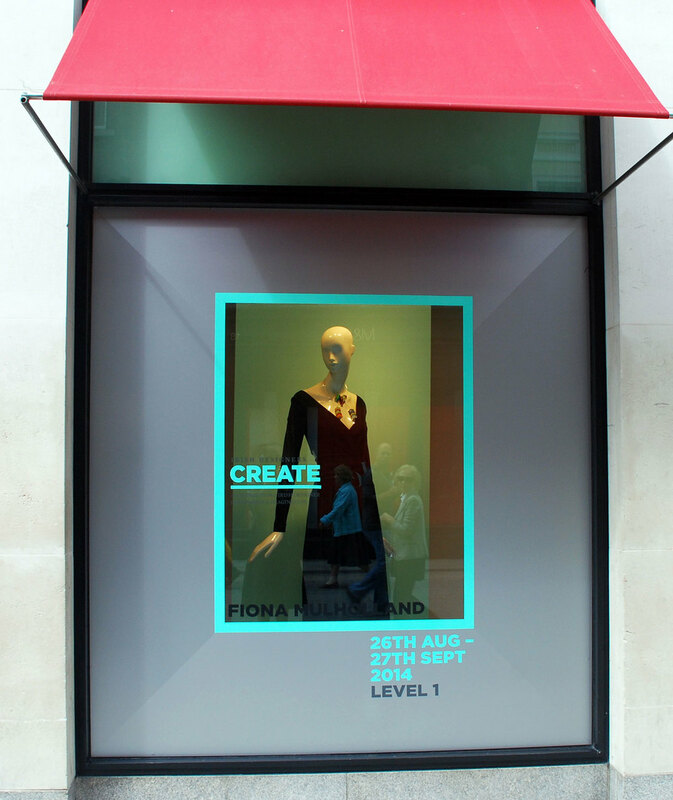 Now, in its fourth year, the event is hosted by Brown Thomas on Grafton Street in Dublin. It was a great opportunity and learning curve to launch the Glow Collection. A highlight for me was displaying my work in the Front Window of this prestigious department store, meeting so many talented Irish designers and developing new clients.